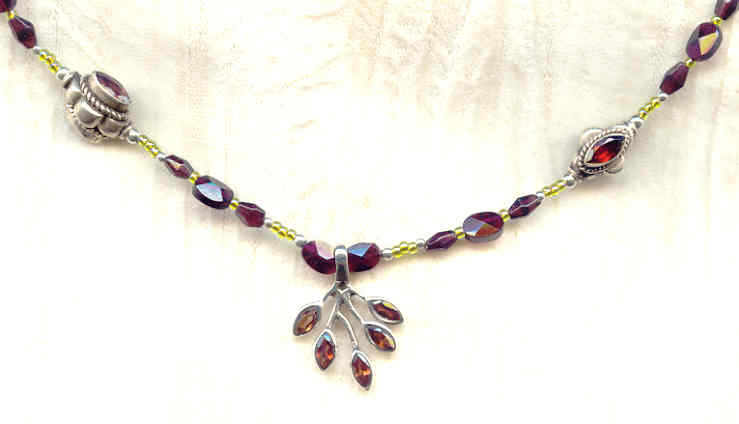 Rich, red faceted marquise-shaped garnets are set in sterling silver to make a tree-of-life patterned pendant that it's a bit more than 3/4" each way. 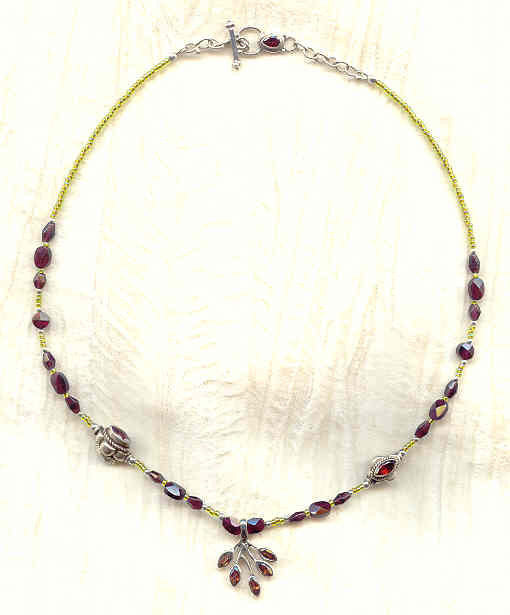 The 19" strand features faceted garnet beads, sterling silver rounds and a pair of very dimensional sterling silver beads set on two sides with marquise-shaped faceted garnets. The strand closes with a sterling silver toggle that's set with a faceted teardrop-shaped garnet. Dramatically coloured and finely constructed, it's another fabulous necklace from SPARKLE PLENTY. The charming cast sterling silver pendant features a faceted round garnet stone.